Hey Sarah, I was just wondering if you'd decided to make development private until release, as I noticed the repository hasn't had many updates at all for quite a while. Seems we're just getting towards spring so I'm looking forward to seeing what v15 has. Thanks for looking into that. Maybe Sarah can see what's going on with the changes in PCem? You need to copy the BIOS files into the rom folder. The XTIDE BIOS is already in PCem I think, you can select the controller under "HDD" in settings. The Xebec BIOS must be called ibm_xebec_62x0822_1985.bin and copied to the roms folder. Ok, you need the BIOS for the Xebec adapter for it to work. You should be able to find it online. Alternatively you might be able to get XTIDE to work, this is emulating a modern bit of hardware for old 8bit XT PCs and its BIOS is included. 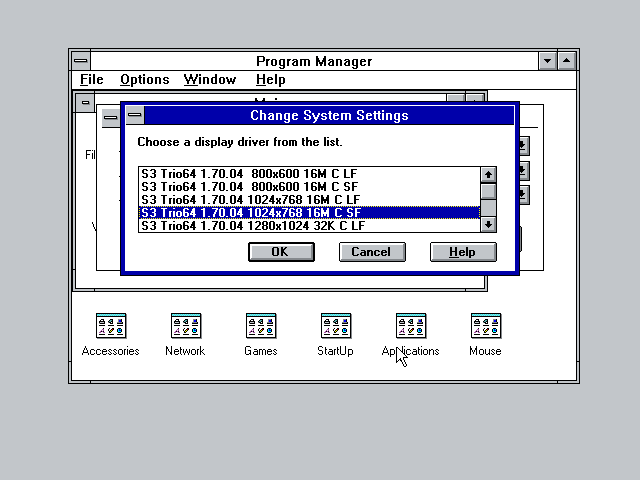 You select the MFM fixed disk adapter as the hard drive type in settings, it's the original IBM XT hard drive controller and emulation is provided by PCem. You can add the MFM fixed adapter and use one of the supported disk types (type 13 at 20mb is fine), and it will automatically work under DOS 2 or later. 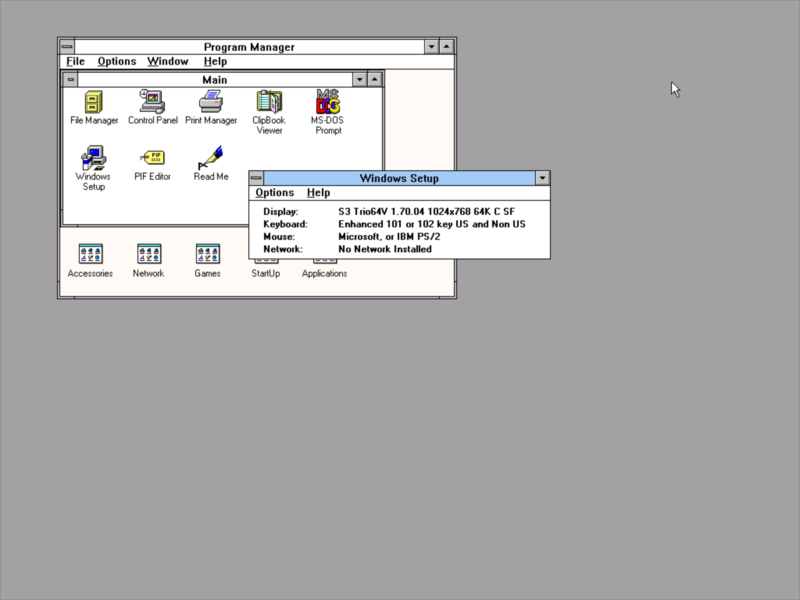 It installs its own BIOS to enable support, and DOS 2 is required for HD support. The image works on VirtualBox and on the unofficial PCem fork - maybe there's some bug with how it sends raw codes to the drive instead of using the BIOS? Yeah, just one port with master/slave rather than two ports with two sets, as was common for all machines from the pentium onwards until SATA replaced IDE. That driver doesn't run at all (I guess it's for NT). But the 2nd one I downloaded last night was definitely for Trio64 and not Trio64V and it was limited in the same way. That's the same as the one I had. I found another one dated earlier, and it was the same limitation. I'm not sure there are any 3.1 drivers that support the higher colours/res. Do you have a link for the right drivers? I can't find anything else. I downloaded the only Trio64 drivers I could find, version 1.70.04. The highest it will do is 64k colours at 1024x768 - anything higher than that res is limited to 256 colours.